Editor's Dispatch: NCS "Cartoonists for Kids" Event in Memphis, TN! Meet your favorite cartoonists in Memphis and give to a very worthy cause! This year, when the National Cartoonists Society (NCS) gathers for its annual Reuben Awards convention over Memorial Weekend (May 26-29), there will be a very different event on the agenda. 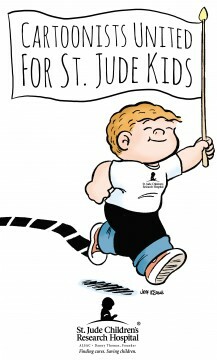 The cartoonists will open their convention by making a May 26 campus visit to St. Jude Children’s Research Hospital, a facility that specializes in the treatment of cancer and other childhood diseases. The event comes out of a 2015 post-convention trip made to Memphis by several NCS members scouting a venue for the 2016 Reubens. 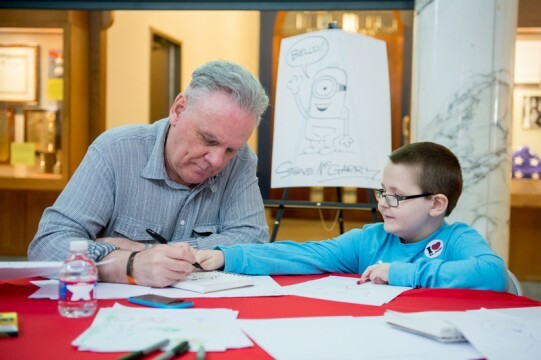 While there, the cartoonists made a visit to St. Jude, where patients and cartoonists drew funny pictures for each other and a couple of hours stretched into an entire afternoon of fun for all. From there, a partnership blossomed between St. Jude and the Society’s charitable arm for a public fundraiser that will be the most ambitious effort to date in the NCS’s new “Cartooning for Kids” charity initiative. Read all about it in the wonderful front page story that ran in the Commercial Appeal, the hometown newspaper in Memphis. Or go directly to the event page to reserve your spot!